Five-0 allows a talk show host and her crew to follow them for the day, but the investigation turns dangerous when they have a run in with Wo Fat, on HAWAII FIVE-0, Monday, April 29 (10:00-11:00 PM, ET/PT) on the CBS Television Network. 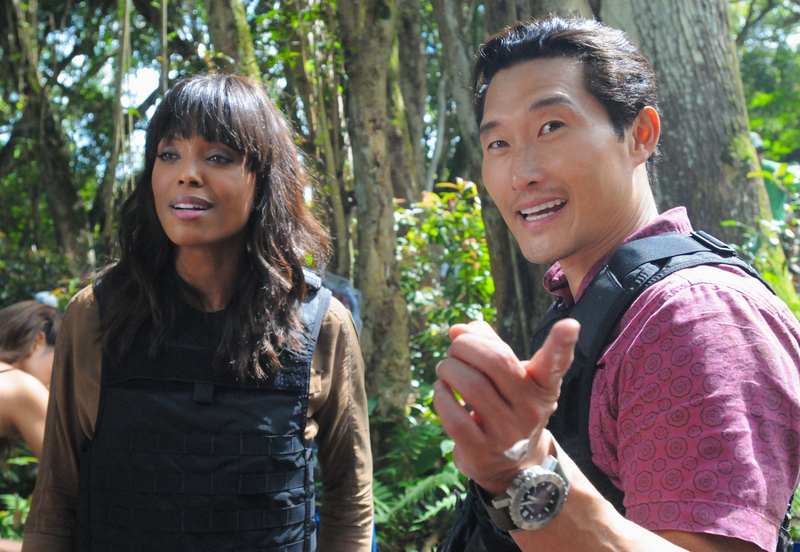 “The Talk” co-host Aisha Tyler (left, with Daniel Dae Kim, right) guest stars as talk show host Savannah Walker. Photo: Norman Shapiro/CBS ©2013 CBS Broadcasting, Inc. All Rights Reserved.